Singapore's cafe scene has never been more bustling and vibrant than now. One ubiquitous offering on cafe menus here is pancakes. They come with smothered in maple syrup and berry compote, topped with a scoop of ice cream, amped with caramelised sliceds of banana, the works. So how do these pancakes stack up? Here are seven cafes that serve our food writers' favourites. Driving past Novena Regency one night, I am startled to find that Kyushu Pancake Cafe is relatively empty. I have been wanting to try its wares since reading about its seven-grain pancakes. So I make tracks there another day and am not disappointed. No, the pancakes are not fluffy, they are better than that go-to description for pancakes. 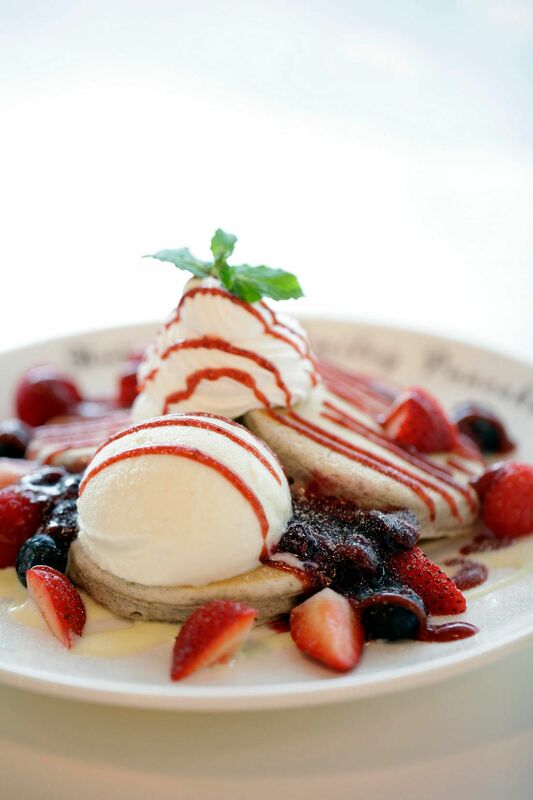 It is hard to find a piece of Berry-Licious Pancake ($16.90) not covered in fruit sauce, berry compote, ice cream or whipped cream, but when I do, I marvel at the nutty flavour. It is airy yet pleasantly chewy in a way that makes me think I am not eating empty calories. Karaage Chicken Waffle ($19) boasts a slab of boneless fried chicken. I have no complaints about the crunchy coating that encases the meat and keeps it juicy. The little pot of white wine honey, a house speciality, is unexpectedly good because sweet and tart play off each other so well. I cannot say the same of the ramekin of unidentifiable creamy white sauce, which has no discernible flavour. Ignore it and just enjoy the chicken. Despite being a latecomer on the all-day breakfast restaurant scene, Clinton St. Baking Company & Restaurant, just by being a franchise of a famous New York brand, gets foodies here a lot more excited. For me, the food is not that different from what other breakfast places here serve, except for a more Southern American slant. And, like all American establishments, servings are huge. 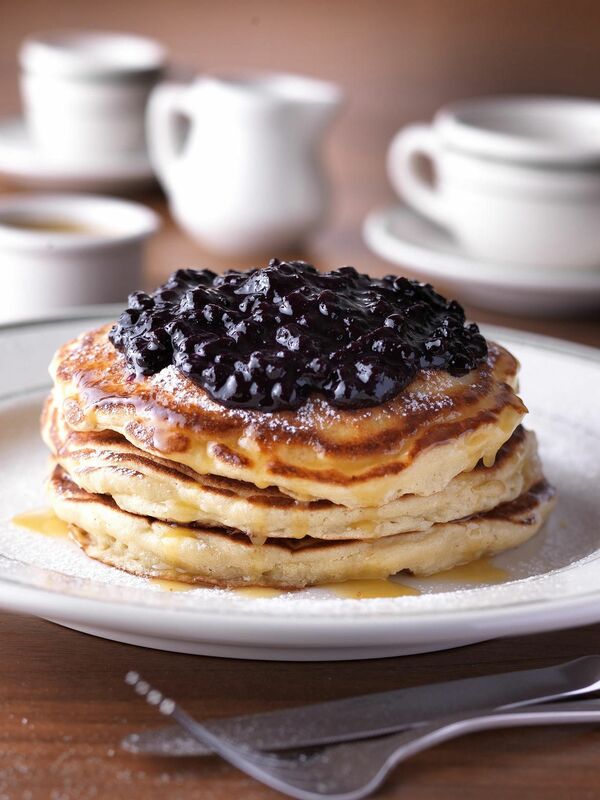 What I'll be happy to wake up to every morning are the Pancakes With Warm Maple Butter ($19). The stack of thick, fluffy pancakes comes with homemade maple butter that is subtly sweet. Among toppings such as banana walnut and chocolate chunk, the blueberries' tartness make everything just a little less heavy. The Southern Breakfast ($18) is good too, especially the cheese grits and the fried green tomatoes. Not many people would remember the 1991 movie, Fried Green Tomatoes, but that was my introduction to this excellent Southern favourite and the version at Clinton St. is good. The tomatoes have a slight bite and come covered in a golden layer of Japanese panko or breadcrumbs. Atlas Coffeehouse in Bukit Timah is by the same folks behind Assembly Coffee in Evans Road. It's located at the corner of Duke's and Bukit Timah Roads, near the Police Post. The space used to house eateries such as The Big Apple Cafe and Nomads and hasn't had a prominent food and beverage tenant in years. 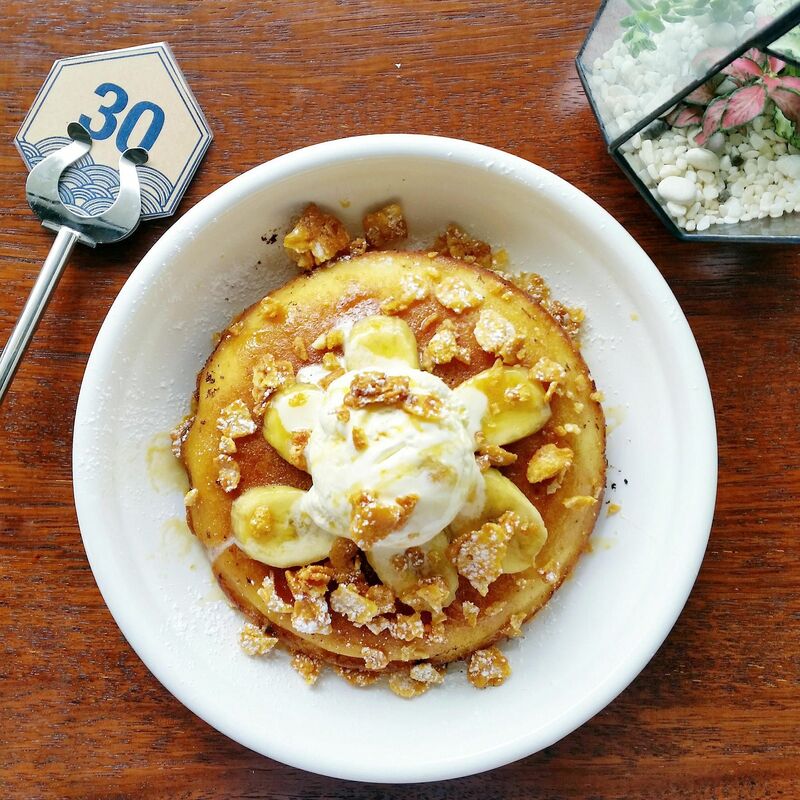 Try the Atlas Butterscotch Banana Pancake ($18.50), which is slathered liberally with butterscotch. The pancake - each serving comes with just one thick packcake - has the texture of a light, fluffy cake. It also has a lovely, crisp top layer with a little bit of a crunch. It is served with banana slices, honeycomb ice cream and chunks of honeyed flakes that resemble granola. When it comes to cafe fare, I am all waffled out, and even pancakes can be boring after a while. 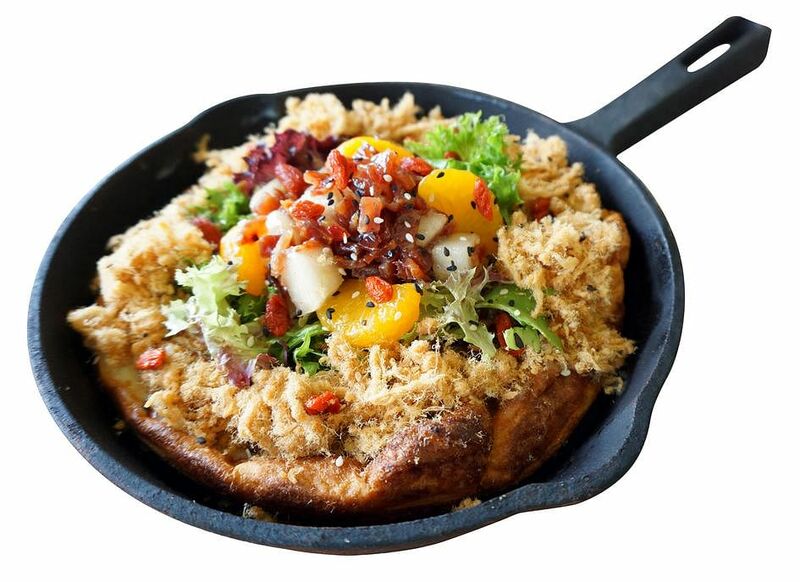 However, d'Good Cafe in Holland Village has introduced Deutsche skillet pancakes that are worth trying. The pancakes, also known as Dutch baby pancakes or German pancakes, are baked in a cast iron oven. I start first with The Classic ($8), which is served with lemon juice, maple syrup and cream cheese. You cannot really go wrong with this combination and the sour lemon juice balances the sweet syrup. The pancake is not too dense and it puffs up in the oven, almost like a souffle. The texture is like a cross between a crepe and a pancake. I prefer the sweet version of the pancakes, but I can see why the savoury ones are popular too. The Black Pepper Beef Salad ($12), topped with poached egg, sundried tomatoes and truffle oil, is a pretty filling meal on its own, and the flavours match better than I expect. Other options include button mushroom; banana, rum and raisin; and sweet corn. Punch, a cafe in North Canal Road which has a courtyard at the back, serves good, well-executed brunch fare on weekends. 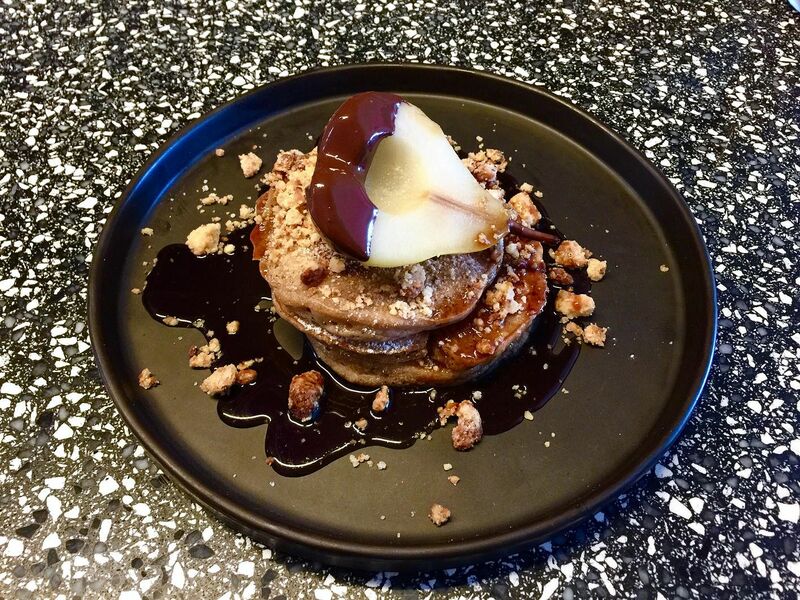 The cafe also does a great stack of Earl Grey Pancakes ($16) sprinkled with white chocolate macadamia crumble and served with a poached pear dipped in chocolate. The pancakes have a subtle flavour or Earl Grey, and eaten together with the syrup and crumble, the dish comes together gorgeously. The first five mouthfuls of these pancakes - while they are still warm, steamy and extra fluffy - are the best. Take big mouthfuls because it is so good that half way through your stack, guilt and caution for the waistline start to set in. Also, the dish may get alittle cloying if you don't have a sweet tooth. There also Banana Porridge ($13), Croque Madame ($14) and perfectly poached eggs with smoked salmon and Hollandaise sauce on brioche ($19). Ah the irony. The pourover and iced coffees at Hoshino Coffee are nothing to write home about but I would go back for Pancake Souffle Style ($9.80 for one, $12 for two) in a heartbeat. It is worth the 20-minute wait. 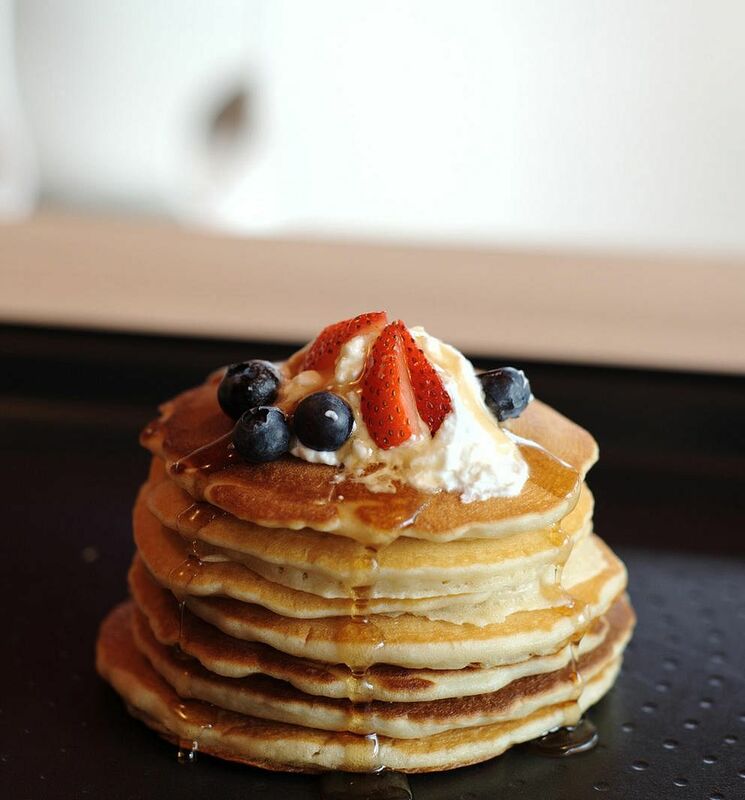 Each thick pancake, browned and lightly crisp on the outside, is topped with salted whipped butter and comes with a choice of maple syrup, honey or brown sugar syrup. 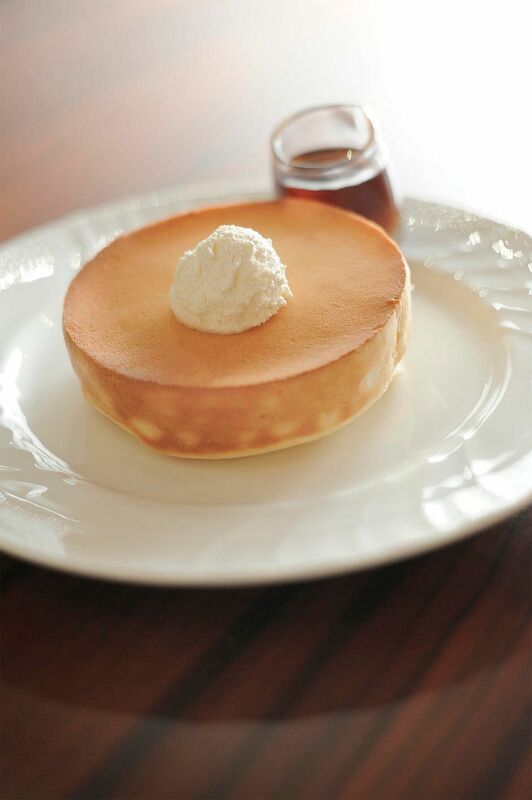 Although it looks like a small cake, the pancake has a soft, light and fluffy crumb. It won't weigh you down. So why not have two? WHERE: Hoshino Coffee, Plaza Singapura's Atrium@ Orchard, 60 Orchard Road, 03-84, tel: 6338-3277. There are also outlets at Ion Orchard, Suntec City, Capitol Piazza, and Holland Village. Honestly, what's not to like about pancakes? They are fluffy, can be sweet or savoury, and just make people (like me), well, happy. At Slappy Cakes at The Grandstand, you can have pancakes at any time of the day. The TungLok Group brought in the make-it-yourself pancake concept from Portland, Oregon, in the United States, in 2013, and I am convinced that people aged two to 92 will love it. The concept is fun, interactive and you can be as creative as you want. Every table has a griddle and you do the cooking yourself.Kids just love it here. First, choose a pancake batter ($8.50) - buttermilk, whole grain, peanut butter, chocolate and pandan. It comes in a convenient squeeze bottle and the consistency of the batter means that it will spread out to the desired thickness - about 5mm thick. It makes about six to eight pancakes, depending on the size. Then, if you like, add toppings from berries and slices of banana, to roasted mushrooms and blue cheese (between $1.50 and $3 a serving), into the pancake as it is cooking. When there is an even layer of bubbles in the batter, flip the pancake. Cook the other side for a little while before taking it off the griddle. I like my stack with Greek yogurt and maple syrup. Mmmm. You can also opt for kaya, lemon curd, or jam. OPEN: The Grandstand - 10am to 9.30pm (weekdays), 8am to 9.30pm (weekends); Resorts World - 8am 9.30pm, daily.